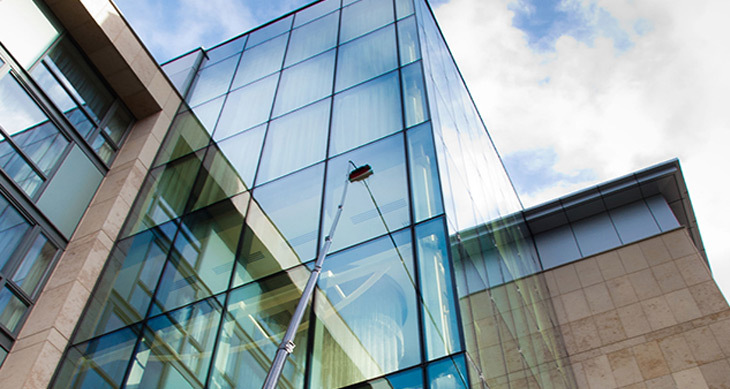 Working at heights of up to 27 storeys, our Richmond Hill window cleaning service provides clean sparkling windows for a variety of properties. From high-rise office buildings and condominiums to large-scale housing complexes and retail outlets, our window cleaners work hard to ensure every property looks great and is well maintained. 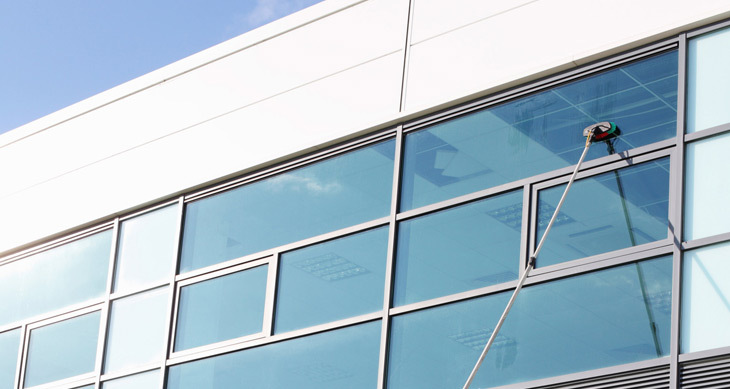 For your entire commercial and industrial property window cleaning needs, you can depend on us. Our customer service is industry leading, and our workers provide exceptional service. You can be confident that your windows are in the hands of true professionals. We provide free no-obligation estimates contact us today for details. Richmond Hill contains a number of different types of properties. Catering to each project on a case-by-case basis allows us to provide customized service. Taking into consideration all aspects of your window cleaning job, we develop the right solution for your property. We could simply offer rigid package deals but we would not be able to compensate for the subtle nuance that is often present in each properties specific scenarios. A customized solution allows us to provide the right services for your needs. For a free, no-obligation estimate contact us today. With availability 6 days a week, we are there when you need our services. Need us to be there in the morning? Would you prefer us show up in late afternoon? We understand Richmond Hill property owners might have specific demands on timing. Some buildings such as condominiums can have their windows cleaned at any time during the day. However, some specific retail properties prefer the work to be done off-hours. When you contact us for an estimate, be sure to mention if timing is important to you and we will do out best to accommodate your needs. Able to provide service up to 27 storeys means we are cleaning windows high up. Staying safe while we clean your windows is very important to us. Our team is composed of highly skilled, trained professionals that take all precautions while rendering services. Nonetheless, we also carry appropriate liability insurance to ensure peace of mind for all parties involved. Safety is at the highest level of our concerns while rendering commercial window cleaning service in Richmond Hill. We meet your needs in terms of affordability and quality of service when it comes to a reliable Richmond Hill commercial window cleaning company. Whether you need a residential complex cleaned or are in need of cleaning of a high-rise office building, NICK’S Window Cleaning provide exceptional service and skilled technicians for your job. Our window cleaners are friendly, prompt, skilled workers that take pride in what they do. Working at heights of up to 27 storeys, our workers deliver exceptional quality and sparkling clean windows. Our team of pros will keep your windows looking their absolute best all-year round. 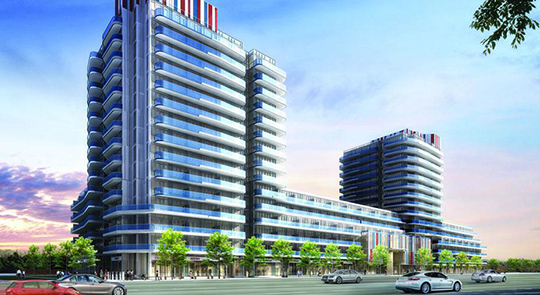 Richmond Hill is an area with a very diverse set of commercial and industrial properties. Buildings ranging in size from low-rise apartment complexes to high-rise office buildings, the decision to hire a professional window cleaner can vary based upon the difficulty of your project. The benefits of hiring professionals are obvious. Clean windows are a thing that people often neglect; they are simply not usually noticed. Only when your windows are dirty are they truly seen as a negative point. Not only do they look bad, but dirty windows also end up being a maintenance hazard as well. Having your workers clean your windows, or even trying to do the job yourself is a not a good idea. Usually commercial buildings have windows that are out of reach. Moreover, when they are reachable, cleaning them proves to be a difficult task. In worst-case scenario, the windows look even worse after. Hiring a professional in Richmond Hill to clean the windows of your commercial property will leave your building looking great and they will get the job done quickly, and efficiently. If you have a building with many floors, reaching the high up windows is completely out of the question for many amateurs. You will have to call in a professional to do the work for you, if you try to DIY this work; you are placing your life on the line. Professionals have all the proper equipment to make the job simple and safe. All workers have extensive training and knowledge in how to operate the equipment in a safe manner. Additional safety training helps to make sure all work is done properly. 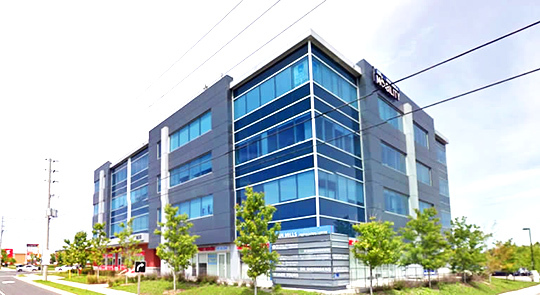 For al low-rise or office building window cleaning in Richmond Hill, you can depend on the pros from NICK’S Window Cleaning. We provide all of our customers with shiny clean windows across Richmond Hill and keep their properties looking great. With a minimum of disruption to your daily operation, you can depend on our professional workers to get the job done quickly and efficiently. Contact us today for a no-obligation Richmond Hill commercial window cleaning estimate.